The fast pace of digital disruption demands that businesses must respond swiftly to changing customer and employee needs. But often, a major hurdle is the need for huge capital investments in technology — which might become outdated by the time it is operational — and the staff needed to maintain such systems. For many companies seeking increased agility, flexibility and scale, a better strategic option is the use of cloud services. Cloud technology offers Internet-based IT resources to firms without the need for major, upfront capital outlays. By tapping services as they need them on a pay-as-you-go basis, businesses can stay flexible and efficient. Such a strategy is useful when companies have bursts of IT intensity in their operations, especially while launching new products or services or coping with volatility in business environments. 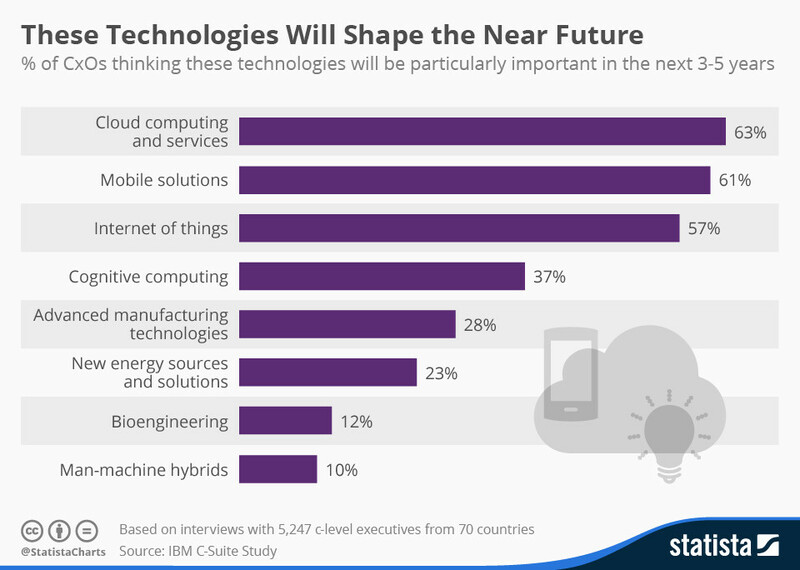 Many firms also find the cloud a useful launch pad for embracing data analytics tools and the Internet of Things. The cloud also frees a firm’s internal IT staff to focus on innovation instead of being bogged down by maintenance. With applications stored in servers run by third parties such as Amazon, Google or Microsoft, businesses do not have to worry as much about keeping up with technology upgrades and can leave cyber security to the experts. That means they can devote more time and resources to their operations. Cloud services include providing access to servers, storage services, databases and IT applications that are run by third parties. There are public clouds such as Microsoft’s Azure or Amazon Web Services, or private clouds preferred by larger entities like health care institutions, banks and government agencies that do not want to risk storing sensitive or confidential information on public clouds. Hybrid cloud models that use public and private clouds are also popular. Businesses were initially hesitant to embrace services run by third parties in the cloud, but they have been singing a different tune over the last few years. Companies have generally overcome their initial concerns about security, reliability, dependability and the robustness of the solutions offered on cloud platforms. For most organizations and in most sectors, cloud solutions are “at least as good as and often better on those dimensions than can be achieved by local implementation of infrastructure,” said Don Huesman, managing director of the Innovation Group at Wharton. Tina DeBrass, the Chicago-based director of cloud services at Dell, pointed to the case of a company that was in the business of buying hotels, improving their profitability and then selling them for a profit. One such property the company was ready to sell housed its data center. Instead of moving the servers to another location, it chose to move to the cloud to meet its IT needs, thereby conserving capital. Such decisions are not small considerations when looking at multiple locations — and the savings can be considerable. That should be good news to chief financial officers who daily consider risks and returns, as well as cash flows, as they weigh their cloud options. If a company keeps its IT infrastructure away from its core activities and makes it utility-based, it doesn’t have to take on too many capital risks. Another major benefit of the cloud is the flexibility it gives businesses that want to expand into new markets or diversify revenue streams through M&A. Global cloud providers have servers across the world that can serve a company’s employees in other cities or countries — in effect, nationalizing or globalizing the workforce without the need to open more offices. Innovation also gets a boost when businesses move to the cloud as R&D teams use these services to accelerate new product development. For example, through the storage of significant amounts of data in the cloud, the team can access information and work from anywhere. The cloud also is a “mobile-first” service that lets applications run everywhere. Indeed, a U.S. home improvement retailer’s mobile app leveraged cloud services to guide customers to the right store aisle to find the products they want. The cloud also let firms using data analytics respond in real-time to business needs. For example, DeBrass said, a Formula One car-racing company that needed to do track-side mechanical assessments tapped cloud services for both predictive and prescriptive analyses quickly to apply findings to the next race. Its sponsors demanded data-driven solutions, and it could make changes close to real time “to ensure that they perform well,” she said. To make sure their cloud investments are paying off, CFOs can look at various performance metrics. DeBrass said tangible gains include savings from capital expenditures in infrastructure and operating expenses as well as reductions in staffing, among other benefits. Intangible benefits that affect operations include extra speed in innovation, increased scale and improved time-to-market for new products or services. Another incentive to companies: Outcomes-based contracts are becoming more common, where users compensate cloud service providers on the basis of the actual gains achieved, such as increased revenues or profits, speed of customer acquisition, or cost savings. Conversely, a failure to meet the promised goals results in penalties for the cloud provider. To make sure the cloud provider brings in the expected gains, it would be helpful for them to study the company’s operations before contracts are signed so they can come up with a realistic plan to bring in the promised benefits. But Wessels cautioned that “measuring the performance of IT has always been a tricky subject.” For organizations in the cloud, he advised against measuring the return on investment of IT directly. Instead, “link technology implementation to improvements in operational metrics, and then link operational metrics back to financial performance,” he said. The result is a more holistic change in the company rather than just savings in one area. Customers sometimes expect too much from cloud services. Even as organizations move their IT needs to the cloud, they would still have to deal with the same IT challenges such as managing anti-virus processes or monitoring IT performance logs. To maintain flexibility in staffing, they can hire managed services that allow them to go about it in a modular way. Finally, companies using cloud providers should ask if their services would provide up-to-date versions of the technology. They also should require flexibility in their contracts to allow them to move from one type of cloud to another in either direction – from public to private or vice versa. One area with a big need for transformation from cloud services is old IT software. Recent research shows that the average IT application is 20 years old. Companies still use these antiquated applications because they believe it is risky to make a change. But not changing carries its own risks, because these companies will ultimately lose their edge and competitiveness. The good news is that more executives outside of IT are recognizing the need. “There has been a democratization of buying behavior,” DeBrass said, noting that demand for cloud services now comes directly from functional areas like marketing instead of a procurement department. As a result, businesses are increasingly forming strategic partnerships with their IT vendors instead of managing them as discrete partners. The benefits of cloud services are many and proven. They include increased flexibility and speed-to-market, scale, lower IT costs, improved path to innovation and faster product releases. By letting third parties that specialize in the cloud manage IT solutions that previously were handled in-house, companies are in a better position to focus on what truly counts: innovating to stay ahead of digital disruptors.